So every week day I have to wake up at 6am, and I have to wake up quickly. There is no lying around in bed for a while, snoozing the alarm - it is literally straight up and out. And because I spend far too much of my evenings staying up late reading beauty blogs I am normally extremely groggy in the mornings. The reason I am telling you all of this is because this Eyebright Soothing Eye Lotion has done wonders for my puffy, tired eyes in the mornings. You know that feeling when you wake up, when you feel like your eyes can barely open - well this lotion works a treat to combat that. It isn't really a lotion, more like a tonic or toner. I dampen a cotton pad with a few squirts and then wipe it slowly across my eyes. 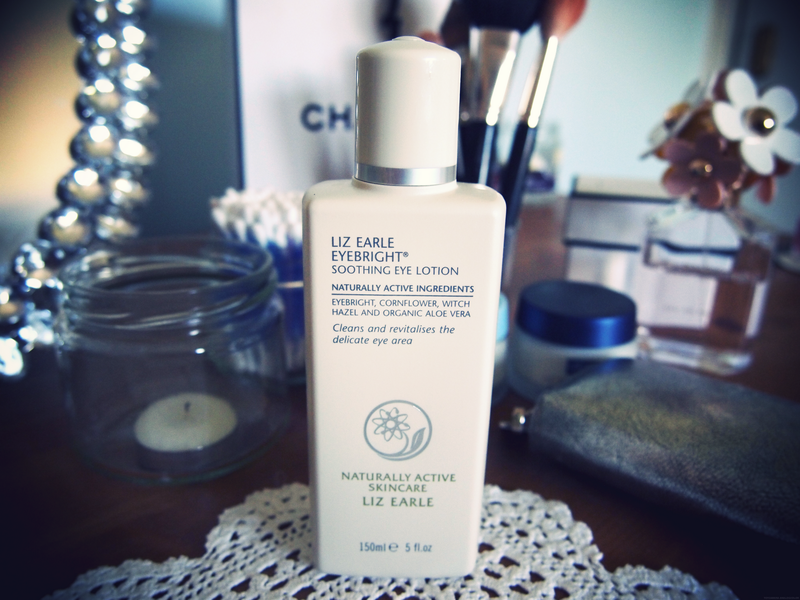 The smell isn't the typical Liz Earle scent but it is pleasant. It must have some magical ingredients in it though because it really does brighten and wake up your eyes. The lotion doesn't remove eye make-up which is a shame but it is nice, soothing treat for your eyes - kind of like a liquid version of cucumber slices. This product won't be a staple of mine, but rather a nice treat product...if that makes sense! So who can beat me with waking up earlier than 6am?